Last week, the Queensland Government launched the second round of its Small Business Innovation Research (SBIR) programme, which helps innovators secure government contracts for developing and testing cutting-edge solutions to specific government challenges. SBIR is a part of Advance Queensland, the Queensland Government’s $420 million whole-of-government initiative, supporting jobs across a range of industry sectors, by building on Queensland&apos;s natural advantages, and helping raise the state&apos;s profile as an attractive investment destination. The SBIR is open to organisations of any size, but is designed to provide opportunities for small businesses to access government procurement. Funding of up to $250,000 is available for the feasibility stage and up to $500,000 for the proof of concept stage. Applicants to the SBIR retain any intellectual property they develop within the program, allowing them to take their solution to a broader market, grow their business, and create jobs. Six companies are working with the government to develop and test the feasibility of their proposed solutions to the challenges released in the SBIR pilot. Applications are currently open for four challenges. Applications close at 2pm (AEST) Monday September 25, 2017. An information exchange day about the challenges will be held 22 August 2017. This challenge is to provide a technological solution that supports improved interactive visual educational services to students with disability in rural and remote locations. This is to provide direct or indirect therapy and learning support to primary and secondary school students with disability. Almost half of Queensland’s schools are located in rural and remote location, with around one quarter of state school students enrolled in these schools, making it a challenge to ensure that to ensure that all students with disabilities received the required high levels of learning support. Currently, a range of technology-based services, including video conferencing, phone calls and use of email are being used to complement face-to-face, in person interactions. Enablers (including government per student funding allowances) are in place to ensure students have access to the software and hardware necessary. But the services are constrained by connectivity and bandwidth. Bandwidth issues impede smooth, real-time video conferencing and restrict the ability to download large files in a timely way. The challenge is to provide innovative, safe, reliable and cost-effective ways to improve and manage point-of-door entry to residential public housing properties across Queensland, taking into account the diverse needs of tenants and their support networks. The current process associated with replacing keys and re-keying residences is cumbersome, time consuming and costly for both tenants and DHPW, who manages the process. Under the current system, in the instance of a change-over of tenancy, DHPW must re-key the residence, replacing all locks and keys, to ensure that the new occupant is granted secure and exclusive access to the dwelling. Existing solutions such as smart key locks that link to a smart phone, voice or visual recognition technology and keypad unlocking systems, fail to take into account the diversity of technological ability and knowledge of public housing tenants, including the elderly and people who experience disability. 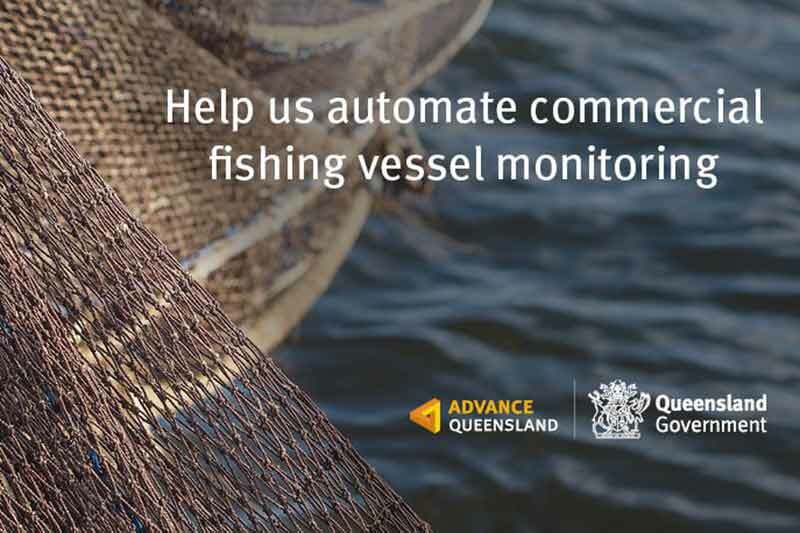 The challenge is to provide an affordable automated electronic monitoring system that will record all information required of commercial trawl, net and crab fishing operations (taking into account different sized vessels), and submit this to the Department of Agriculture and Fisheries (DAF) in real or near real time. Information is currently provided by commercial fishers through a range of mandatory reporting requirements include paper logbooks; phone reporting; and satellite tracking on for larger vessels like trawlers. The reporting is costly and time consuming for fishers, prone to intentional and unintentional misreporting, reliant on often unreliable equipment and causes significant delays in the delivery of information for decision making. Technology solutions could include a combination of tracking systems, sensors, robotic vision, species recognition and/or electronic monitoring. A completely automated reporting system for commercial fishing location, effort and catch does not exist anywhere in the world and Fisheries Minister Bill Byrne expressed hope that there will be demand from fisheries agencies worldwide for this type of technology. The challenge is to provide an affordable personal dust monitoring device that will provide real-time data to a worker regarding their exposure levels to respirable dust, consistent with Australian Standards. It will alert an individual worker if they approach, or exceed the recommended respirable dust exposure limits. The device will enable automatic collection of individual data for aggregation to allow end of shift analysis and corrective actions, as well as enabling a cumulative analysis of larger groups to identify physical areas and broader operational changes that require improvement in dust control. Current techniques of respirable dust monitoring, based on gravimetrical testing, do not provide feedback of exposure until well after the exposure has occurred, typically weeks. Other devices available on the market that do provide real-time measurement either do not meet Australian Standards for intrinsic safety, the minimum measurement accuracy, or are cost prohibitive at present.